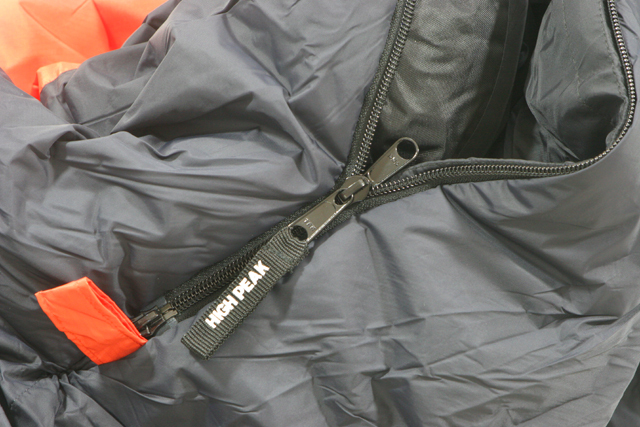 High Peak offers a winter sleeping bag that keeps you as warm and dry as an expedition bag, but without the high cost. Winter camping and backpacking can be a challenge if you don’t have the right equipment. Mountaineering and expedition sleeping bags for example, are essential for keeping warm in 0-degree or -20-degree F. temperatures, but they’re often very expensive. But High Peak’s new Mt. Rainier sleeping bag comes at an affordable cost but still provides the warmth needed for a weekend of winter backpacking or a camping trip in the backcountry. The High Peak Mt. Rainier is a mummy-style design that uses a double layer of Termolite Quallo insulation that is very effective in retaining body heat and stays warm even when wet. This insulation also dries much faster than down, but you won’t have much of a problem with that as it uses Amphibia PU 3000 fabric to keep it water and wind-proof. The fabric is breathable and allows any perspiration on your skin to evaporate, keeping you dry. The top of the Mt. 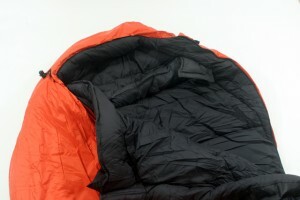 Rainier sleeping bag uses ripstop nylon, while the bottom is a nylon taffeta. The soft interior liner is an Infista Tactel nylon that also has a small pocket to keep personal items. Just like many mountaineering sleeping bags, the High Peak Mt. Rainier has an internal chest collar with a draw string and barrel lock, that helps keep your body heat from seeping out of the face opening. The extra insulation in the head, along with the adjustable chest collar are some of the features found in a full expedition bag. The extra insulation around the head is not only soft and comfortable, but also helps keep you warm. A draw-string closes the mummy bag around your face and helps keep the heat in. The Mt. Rainier also features a thermal collar to improve insulation around the neck area and we liked the draft tube along the side that keeps out the cold that can creep in along the zipper and prevents any body heat from escaping. 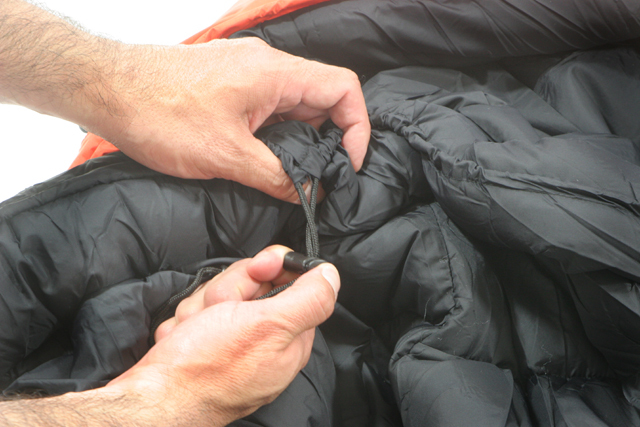 All of the seams on this sleeping bag use a tape seal and the YKK zippers are heavy duty and feature a dual opening and anti-snag zipper band that makes it very easy to close with gloves on. 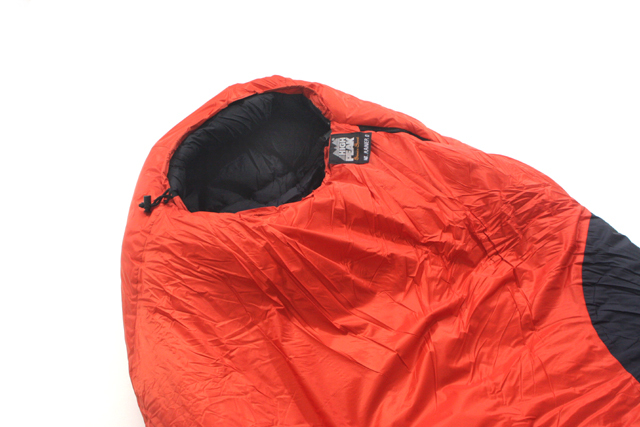 High Peak designed the sleeping bag so that two Mt. Rainier bags can be attached together, allowing you to snuggle up with your buddy. The bag measures 34″x86″x22″ and comes in three temperature ratings, a 20-degree, 0-degree and -20 degree. 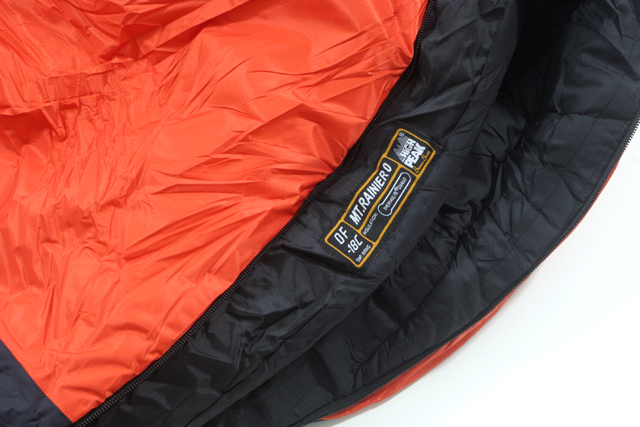 Our test model was a 0-degree bag that we used in a two-man tent, with a Brooks-Range Alpini Sleeping Pad. Temperatures with snow on the ground dropped to -3 degrees and considering the bag is actually rated from 0 to -18-degrees F. the Mt. Ranier kept us very warm and comfortable all night. The Mt. Rainer’s compression sack is made from 201D Oxford Nylon making it durable to withstand being stuffed in the back of your SUV or strapped to the bottom of your backpack. The stuff sack measures 18.1 inches long and about 9-inches in diameter with the bag inserted in it. The carrying weight is 4-lbs. 8-0z for the 0-degree bag, while the 20-degree bag weighs 3-lbs. 8-oz and the -20 degree bag weighs 5-lbs. 14-oz. The Mt. 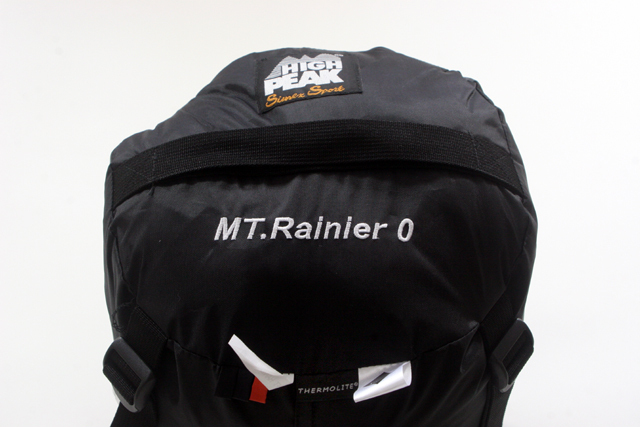 Rainier is not tight fitting, but it also doesn’t allow much room to move around, especially in the foot area. Nevertheless, we felt very comfortable in the bag and although some mountaineering bags rated to -15 or -20 degrees F. have thicker or double chest collars, the Mt. Rainier proved to work fine if you’re under normal winter camping or backpacking conditions in mid to lower elevations. We tested the High Peak Mt. Rainier 0-degree sleeping bag and found it had great features you’d normally find in a expedition bag, but at a much less price. The extra insuation in the head, along with the adjustable chest collar are some of the features found in a full expedition bag. The Mt. Rainier 0’s draft tube keeps warmth in and the cold out. The stuff sack measures 9-inches in diameter and 18.1 inches in legnth. Carrying weight is 4-lbs. 8-oz. A small pocket is sewn into the liner to hold personal items like keys or your cell phone. All of the bag’s pull string closures for the chest collar and hood feature barrel locks. The two-way zippers are heavy duty and the anti-snag zipper band makes it easy to pull them closed, especially with a pair of gloves on.